Episcopal Church. South Bronx Family Anglican Church. Jazz Mass Church. Bronx Episcopal Church. South Bronx Family Episcopal Anglican Church. Bronx Jazz Mass Church. Anglican Church Sunday School Episcopal Church. Jazz Mass Episcopal Church. Bronx Anglican Church. Bronx Sunday School Church. Jazz Mass Anglican Church. South Bronx Episcopal Church. South Bronx Sunday School Church. Bronx Jazz Mass Church. South Bronx Anglican Church. Sunday School Anglican Church. Bronx Jazz Mass Anglican Church. Episcopal Anglican Church. Bronx Sunday School Anglican Church. South Bronx Jazz Mass Church. Bronx Episcopal Anglican Church. South Bronx Sunday School Anglican Church. South Bronx Jazz Mass Episcopal Church. South Bronx Episcopal Anglican Church Caribbean Episcopal Church South Bronx Jazz Mass Anglican Church Kid’s Church Caribbean Anglican Church. Latin African Drumming Church. Kid’s Episcopal Church. Bronx Caribbean Episcopal Church. Latin African Drumming Episcopal Church. Kid’s Anglican Church. Bronx Caribbean Anglican Church. Latin African Drumming Anglican Church. Bronx Kid’s Church. South Bronx Caribbean Episcopal Church. Bronx Latin African Drumming Church. Bronx Episcopal Kid’s Church. South Bronx Caribbean Anglican Church. Bronx Latin African Drumming Episcopal Church. South Bronx Anglican Kid’s Church. African Episcopal Church. Bronx Latin African Drumming Anglican Church. South Bronx Episcopal Kid’s Church. African Anglican Church. South Bronx Latin African Drumming Episcopal Church. Teen Church Bronx African Anglican Church. South Bronx Latin African Drumming Anglican Church. Teen Episcopal Church. Bronx African Episcopal Church. South Bronx Cultural Arts & Justice Church. Teen Anglican Church. South Bronx African Episcopal Church. South Bronx Cultural Arts & Justice Episcopal Church. Bronx Teen Church. South Bronx African Anglican Church. South Bronx Cultural Arts & Justice Anglican Church. Bronx Teen Episcopal Church. Caribbean Church Bronx. Nativity Church Bronx. Bronx Cultural Arts & Justice Church. Bronx Anglican Teen Church. African Church Bronx. Presbyterian Church Bronx. Bronx Cultural Arts & Justice Episcopal Church. South Bronx Anglican Teen Church. St. David’s Church. Bronx Methodist Church Bronx. Bronx Cultural Arts & Justice Anglican Church. South Bronx Episcopal Teen Church. St. Simeon’s Church Bronx. Lutheran Church Bronx. South Bronx Cultural Arts & Justice Church. Bronx Church. Iglesia San Juan Bautista. Bronx Cathedral St. John the Divine South Bronx Church. St. Ann’s Church Bronx. Baptist Church Bronx. South Bronx Cultural Arts & Justice Episcopal Church. Community Church. St. Margaret’s Church. Bronx Mision Espanol Church. Bronx Community Episcopal Church. St. Paul’s Church Bronx Haitian Church. Bronx Community Anglican Church. St. Edmund’s Church. Bronx Church for Youth Community. Episcopal Anglican Church. St. Mary’s Church Bronx. Youth Church. South Bronx Cultural Arts & Justice Episcopal Church. Bronx Community Church. Grace Church Bronx. Bronx Youth Church. South Bronx Cultural Arts & Justice Anglican Church. South Bronx Community Church. Trinity Church NYC. South Bronx Youth Church. Hispanic Episcopal Church. Bronx Community Episcopal Church. St. Peter’s Church Bronx. Children’s Church Hispanic Church. South Bronx Community Anglican Church. St. Andrew’s Church Bronx. Bronx Children’s Church. Hispanic Anglican Church. Bronx Community Anglican church. Atonement Church. Bronx South Bronx Children’s Church. Bronx Hispanic Church. Bronx Community Anglican Episcopal Church. St. Luke’s Church. Bronx Children’s Episcopal Church. Bronx Hispanic Episcopal Church. South Bronx Community Anglican Church. St. Martha’s Church. Bronx Children’s Anglican Church. Bronx Hispanic Anglican Church. Family Episcopal Church. St. James’ Church Bronx. Bronx Children’s Episcopal Church. Bronx Family Episcopal Church. Mediator Church Bronx. South Bronx Children’s Episcopal Church. South Bronx Family Episcopal Church. Good Shepherd Church Bronx. Bronx Children’s Anglican Church. Family Anglican Church. St. Stephen’s Church Bronx. South Bronx Children’s Anglican Church. Bronx Family Anglican Church. Christ Church. Bronx South Bronx Children’s Episcopal Anglican Church. Spanish Language Church. 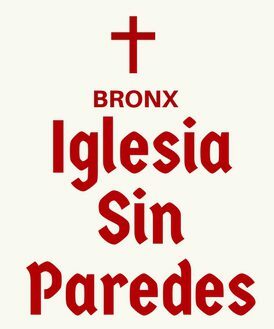 Bronx Spanish Language Church. South Bronx Spanish Language Church. Bible Study Church. Bronx Bible Study Church. South Bronx Bible Study Church. Gospel Choir. Church Bible Study Episcopal Church. Bible Study Anglican Church. Trinity Church. Bronx Bronx Gospel Choir Church. Bronx Youth Ministry. Bronx LBGTQ Church. South Bronx LBGTQ Church. South Bronx Gospel Choir Church. LBGTQ Church. LGBTQ Episcopal Church. LGBTQ Anglican Church. Community Episcopal Church Bronx LBGTQ Church. Bronx LCBTQ Episcopal Church. Bronx LBGTQ Anglican Church Bronx Community Episcopal Church. Bronx Gay Church.Bronx Gay Episcopal Church. Bronx Gay Anglican Church. Bronx Community Anglican Church. South Bronx Gay Church. South Bronx Gay Episcopal Church. South Bronx Gay Anglican Church. Liturgical Dance Church. Liturgical Dance Episcopal Church. Liturgical Dance Anglican Church. Bronx Liturgical Dance Church. Bronx Liturgical Dance Episcopal Church. Bronx Liturgical Dance Anglican Church. South Bronx Liturgical Dance Church. South Bronx Liturgical Dance Episcopal Church. South Bronx Liturgical Dance Anglican Church. Praise Dance Church Praise Dance Episcopal Church. Praise Dance Anglican Church. Bronx Praise Dance Church. Bronx Praise Dance Episcopal Church. Bronx Praise Dance Anglican Church. South Bronx Parise Dance Church. South Bronx Praise Dance Episcopal Church. South Bronx Praise Dance Anglican Church. Steel Band Church. Steel Band Episcopal Church. Steel Band Anglican Church. Bronx Steel Band Church. Bronx Steel Band Episcopal Church. Bronx Steel Band Anglican Church. South Bronx Steel Band Church. South Bronx Steel Band Episcopal Church. South Bronx Steel Band Anglican Church.